Like every other woman, I love beauty. As a result, I am in a constant search for new beauty tips and trending styles to help me up my game and ultimately reduce the STRESS involved in my beauty procedures. So when I came across One Two Cosmetics Full Eyelashes, my excitement knew no bounds. Why? you may ask. Well, I made this discovery when I was about to kick false eyelashes out of my beauty routine for good. I’d rather attend an event looking like a nun who detests wearing artificial makeup than go through the stress of ripping glue off my eyelashes, eyelids, and fingers again. This may not be a popular opinion but that’s just me. I would have gone ahead with my plan but for the brilliance of One Two Cosmetics. We’ve had many beauty companies come up with techniques to re-invent blush palette, but never have we had one that has taken it upon itself to bring a new innovation into the false eyelash business. Katy Stoka and her One Two Cosmetic company managed to pull this off and revolutionized the entire concept of eyelash application. Katy and I do share the same thought, and it is simply about the fact that beauty shouldn’t be so difficult. As a former real estate agent, she had no time to waste on beauty products that took so long before they could be applied. But unlike me, she actually did something about it, and boy am I grateful. While having a quiet time in the comfort of her bathroom, an idea about magnetic eyelash struck her. And like the pro-active entrepreneur that she is, she decided to bring the idea to reality. However, she encountered an unfortunate set back. There was no technology at the time that could bring her magnetic eyelash concept to reality. This did not deter her one bit. She was poised to see her dream come to reality, so she opted to create her own design that could accommodate a magnet on something as tiny as a lash strip. Though it seemed impossible at first, she actually made it happen and her company, One Two Cosmetic was born. The first magnetic lashes are called Original Lash and covered only half of your natural lashes. Now we have One Two Cosmetics Full Eyelashes, called Full Coverage Original Lash, which cover your entire lashes, and people like me can smile. 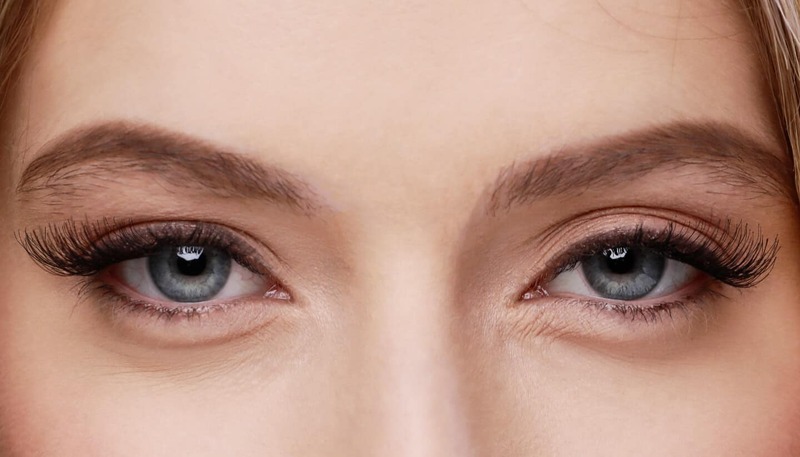 One Two Cosmetics’ original magnetic eyelash was the first of its kind and was also voted the “Breakthrough Innovative Beauty Product” by Allure magazine when the One Two Lash products were released. Excellent discovery, right? But the question I am sure you want to ask is, do the One Two Cosmetics Full Eyelashes work? Well, it does work and has also rekindled my love for false eyelashes. As earlier stated, Katy came up with her first One Two Lash model of magnetic eyelashes. And it was a basic half lash model. Its magnetic lash enhances the outer lash and blends with the inner lash at the same time. Regardless of the impact that the half lash made, One Two Cosmetic added a new “baby” to their line of products recently. It is called the Full Coverage Original Lash. The new product retains the old and dependable glam appearance, but extends over your entire lash from one corner to the other. This new technology effortlessly enhances those unique peepers even more. Creating a magnetic eyelash may seem like the major breakthrough, but the impact was greater than just that. While we already know that everything is wrong with traditional false eyelashes, you probably didn’t know that they do not also fit every eye shape. Fortunately, with One Two Cosmetic’s adjustable magnetic eyelash, you can rest assured that you have a false eyelash that will not only fit your own eye shape but also bring you comfort while it’s at it. To prove these theories right, I decided to try one of One Two Cosmetic’s eyelashes on myself. They can be purchased easily from the company’s website in four different styles: Bold, Extra Bold, Original, and Enhanced. Expect the product to come with its own magnetic casing to help prevent the lashes from moving around freely. Inside the case, you’d find a lash set for each eye. In fact, each eye would require three pieces; one long one that will sit directly over your natural top lash, some small lash strips that will sit under your natural top lash. So, you have one that will click with the inner edge and another that will click with the outer edge. In the end, you’d have a nice sandwich, and an eyelash you can be proud of. Easy, right? Well, it is “light years” better than glue you’d have to bother yourself with all the time. However, every first-timer would have to put in a bit of practice before she can get a grip on it. I became an expert at applying it when I discovered the “not too obvious” magnetic applicator embedded in the package. Though this magnetic applicator only comes with the One Two Cosmetics Full Eyelashes. So, ensure that you are specific when making your order. With the magnetic applicator, you will not have to worry about holding the lashes in the right position. That is sorted out, and with one squeeze, the applicator clicks the lash into place. You need to make sure that the lash line is in close contact with the magnetic lashes so that they can merge together firmly. The lash line also substitutes for liquid liners if you are used to applying one. With my new magnetic lashes, I did not require heavy makeup anymore. Once they are on, I could step of the house without being bothered about my look. To top it all, these magnetic falsies are easy to remove. All I need to do is to push the magnetic lash away from each other and they fall off easily. On the website, it is stated that you should not apply mascara directly on your magnetic eyelashes and also ensure to clean them regularly. You could buy the cleaning solution, sold by One Two Cosmetics, for this purpose. It’s no secret that I am addicted to my new found magnetic eyelashes. But why wouldn’t I? They are 100% reusable and can be applied with little or no effort at all. The holiday season is here again and a 100% reusable beauty product should excite anyone.